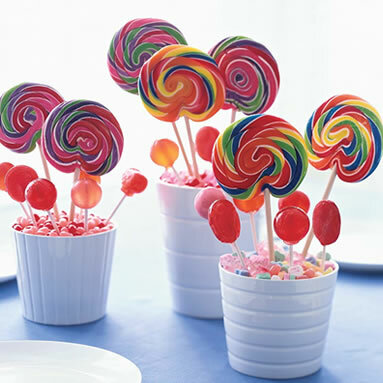 Cookies, candy, chocolate, and fruit all make wonderful, whimsical, and delicious centerpieces. Using edible decor is a super easy way to create a beautiful table that will take your guests by surprise. 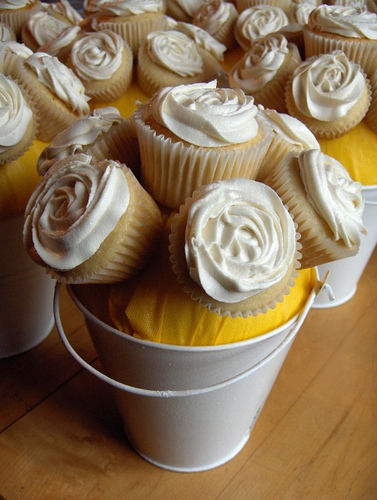 And using dessert as a centerpiece saves time and money! It doesn’t get better than that! Here are a few DIY suggestions, but experiment, the possibilities are endless. Stack homemade or store-bought meringues, cookies, amaretti, candy, or chocolate on tiered or regular plates in the center of your table. 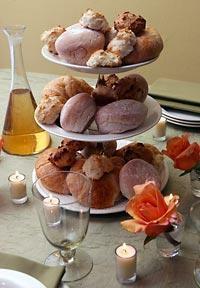 Too add some extra visual interest, scatter tea candles and flowers around the plates of sweets. At the end of dinner pass the plates around for your guests to enjoy. 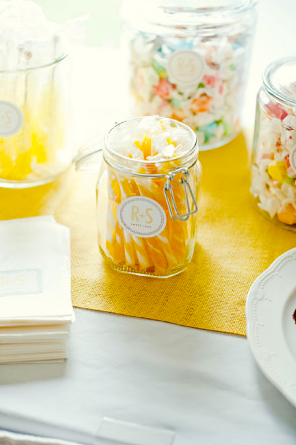 Use the color palette of your table decor as a guide and fill apothecary jars with candy that matches. Take it one step further and give your guests cellophane bags to fill with the wonderful confectionary treats they can take home. Fruit infused water not only looks beautiful, tastes wonderful but is so easy to do. Gather a variety of different carafes and bottles, you can pull from what you have or check out flea markets and antique stores. 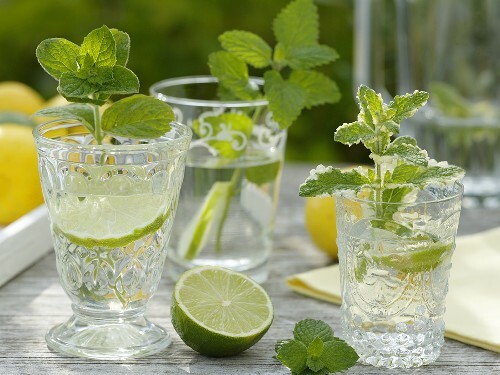 Add raspberries, cucumbers, lemongrass, limes, mint leaves, you name it, to each vessel and add water. Let the infusion sit for an hour or so. Before guests arrive add ice and place the collection of fruit infused waters in the center of your table along with some whole fruit. 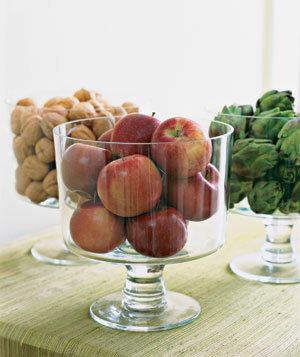 This creates a beautiful, functional, and inexpensive centerpiece.